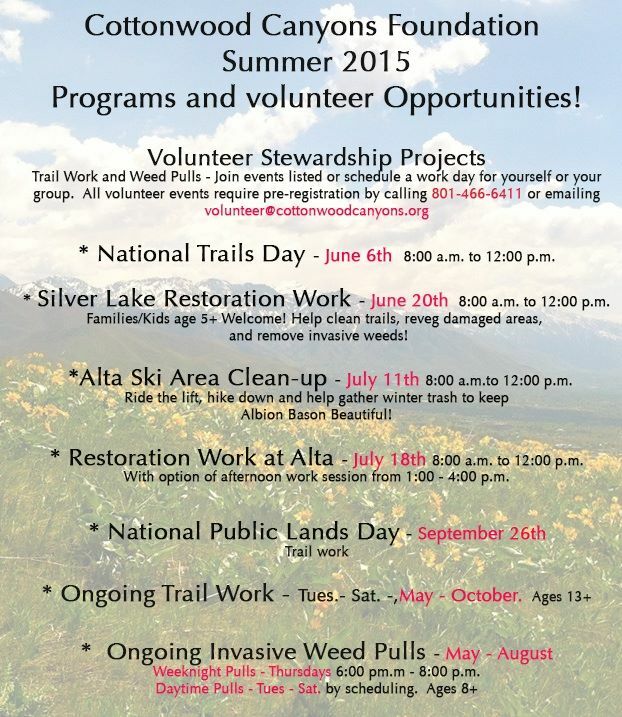 Come out to Alta on Saturday, July 11th from 8:00am to noon, and help clean-up Albion Basin. Volunteers will be able to ride the ski lift up to the top, and then hike down while picking up the winter’s trash. All volunteers are required to register by calling either (801) 466-6411 or emailing volunteer@cottonwoodcanyons.org. For more information on events that Cottonwood Canyons Foundation will be holding, see the flyer below.